Every holiday brings us certain amount of joy. You are finally off work and heading out to spend some free time with friends or family. This holiday travel significantly increases traffic, which is just one of concerns and dangers on the road that motorists will face at Easter time. Many people are heading home for the holidays to visit relatives and with this a long and potentially dangerous drive awaits. Read some of our tips and stay safe when driving during Easter. Check your vehicle. When was the last time you checked the air pressure in your tyres? Do not underestimate this; under-inflated tyres can cause a car to handle unpredictably especially in sudden situations. Low pressure also has an affect on fuel consumption. Don’t forget to check all the lights to see if they are working. When you drive in rain, snow, fog or just at night, fully functioning lights are mandatory. In modern cars we are not used to doing anything until we get a warning, therefore you should think sooner about topping up on vital fluids like oil or windscreen washing water. Is there a weird noise coming from your engine? You could save yourself a lot of trouble – not to mention cash – by getting it sorted out now. Weather. It's something we can not change and just have to go with it. Fortunately, with all the technology we are able to forecast quite accurately on how the weather will turn out, and be prepared for it. Even if the last couple of days were sunny, at this time of year snow can still surprise us. So it’s worth packing a blanket, torch, shovel, de-icer and in-car mobile phone charger, plus a few bottles of water and some chocolate bars for energy. The Traffic. As we mentioned at the beginning, everybody is on the road. Going to see friends or family can create massive traffic jams. The best option is to avoid them by going sooner or knowing where they are. 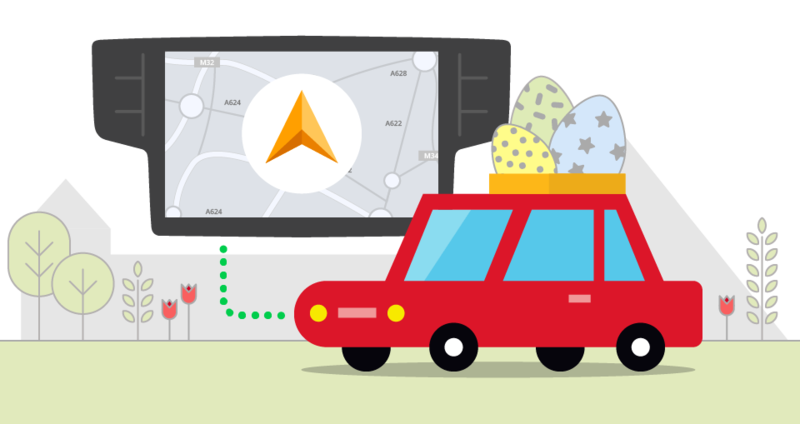 The first option is easy and Sygic Car Navigation can help you with the second one. With Traffic Information you see where the worst traffic situation is and you are given options how to detour your path to avoid it. Stay focused with Smartphone-to-dash connectivity, which mirrors your navigation onto your car infotainment screen. And why is that a good thing to have? Well, when Easter rolls around and many drivers hit the road, traffic will be congested. More cars and more things will happen on the road that will need all of your concentration. 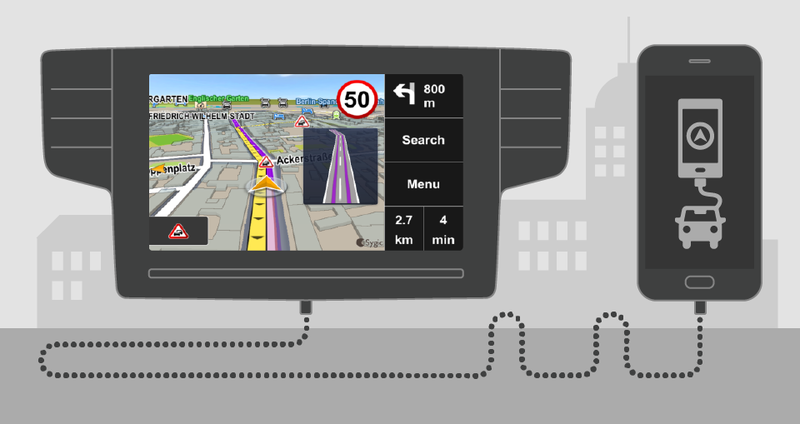 Being navigated by Sygic Car Navigation connected to your infotainment is the least distracting way possible, because you are watching it on a screen which was designed with this purpose. You can also control it through buttons on your steering wheel or other buttons for controlling navigation options. Save some money on the road. Cars, unfortunately, won‘t run on good intentions or your time spent on Facebook, so you will eventually have to fill up your tank. This can get costly if you choose the wrong petrol station. 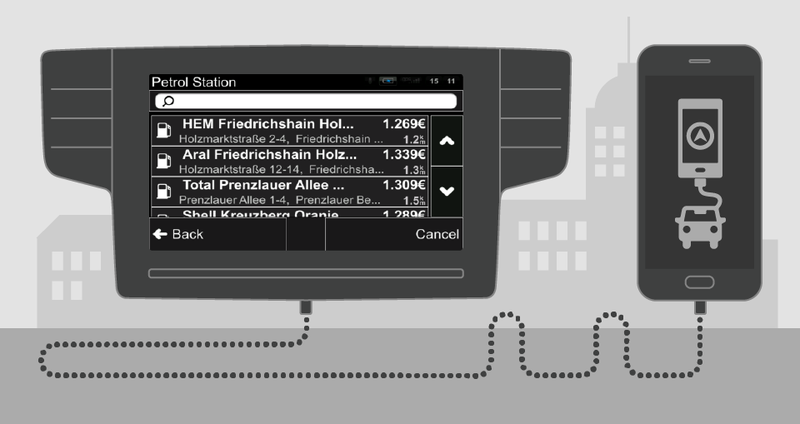 With the Fuel Prices feature you will know current prices at all nearby petrol stations. Wouldn’t that influence where you choose to take your petrol? Don’t forget, that sometimes we are in hurry. Who wants to waste too much time on the road, when we can just speed up a little and get there faster? We do not support speeding, but we are realists and know that some of you, sometimes, will go over the limit. And if you are caught by a speed camera, it can cost you quite a bit. 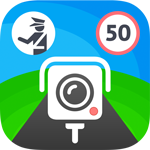 Luckily for you, Sygic Car Navigation has a nice feature that tells you where speed cameras are. These are just a few tips to let you know what to be aware of on the road or when traveling by car during the Easter holidays. Some of them you can solve by yourself, and with the rest some you can rely on Sygic Car Navigation. Get your Premium Connected Pack for half of it's price for just 59,99 €.